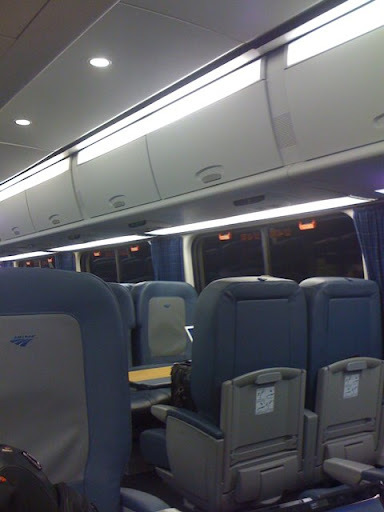 We're up at the crack of dawn and ensconced in an Acela headed for Philadelphia. Auditions today at Curtis, and then we hop on another train back to DC. After a long evening work session last night, we're a little bleary...hoping some great singing will wake us up! 1. Opera earworms. I've been singing the same 5 arias over and over again...it's a wonder my colleagues let me live. 3. Not having to ride in a New York City taxi for another year. 11.15.09 are you calling me fat? ?